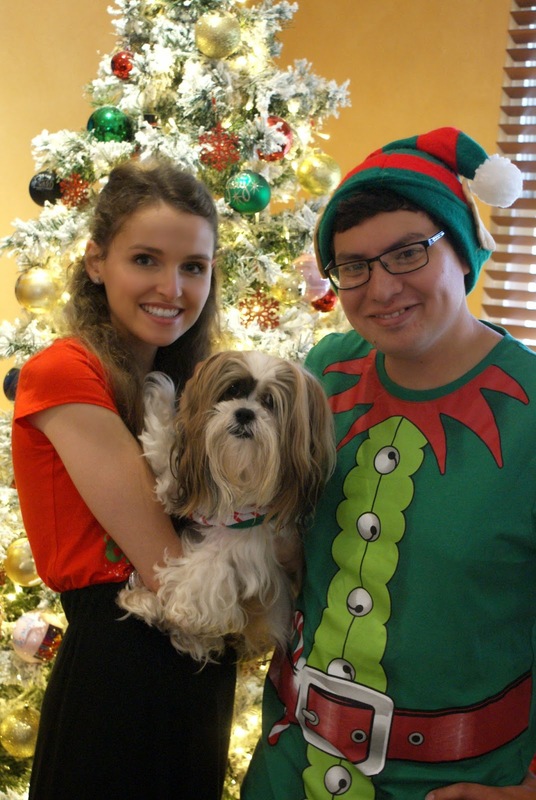 Southern In Law: Recent Things: Christmas 2014 in the SIL House! 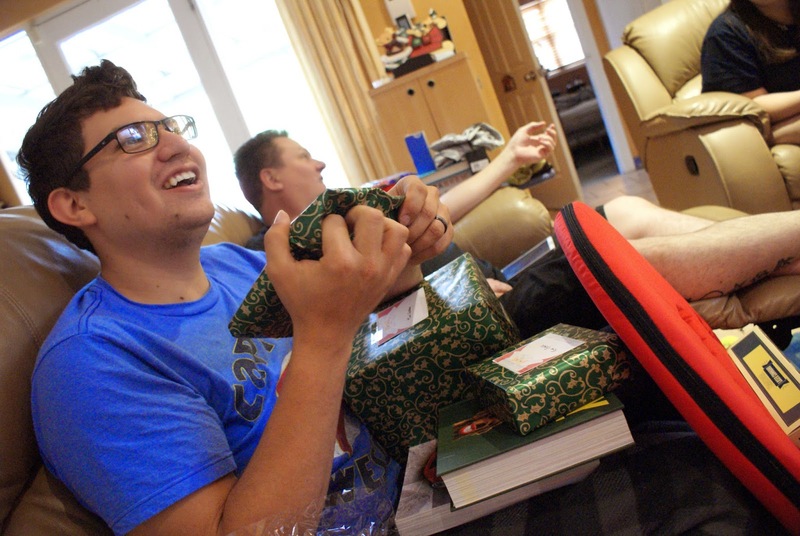 Recent Things: Christmas 2014 in the SIL House! Christmas started super early in the SIL House. I was wide awake at 5am (22 going on 2, I tell you) and tried to wake Jesse up only to get a grumbled Merry Christmas and have him fall back asleep - so I went "Christmas Shopping" on my phone on OZSALE where I got a mini cream whipper I've had my eye on for a while (and it was $12 instead of $30 something like I'd seen it) and some waffle baking moulds because well, I threw out my waffle iron and I'm curious to see how baking waffles works. But at 6am, my shopping spree was done and Jesse was awake so we got up and had some breakfast and began moving the mass of Christmas presents from our front tree to the tree in our living room. 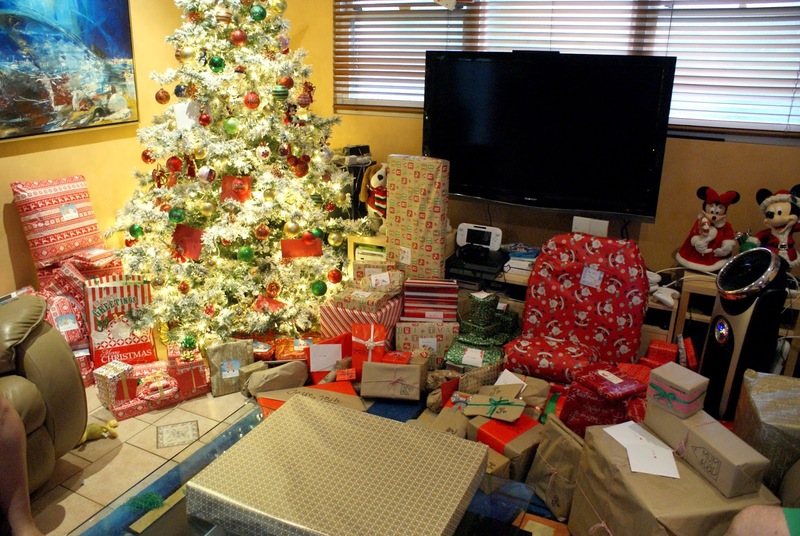 We all went a littttttttttttttleeeeeeeeeeeee overboard on Christmas presents this year (as we always do) and at 7am everyone was finally awake and it was time to open presents! We were all super spoilt with gifts and Jesse devoured just about every piece of candy he received as he opened it ;P (who said it's too early for sugar?!). And of course, I kept up with tradition and was so excited to give Jesse this year's bauble. Every year that we've spent Christmas together here in Australia, I've bought Jesse an ornament. The first being "Our First Christmas Together" ornament (though it was technically not our first, but our first together in the same place! 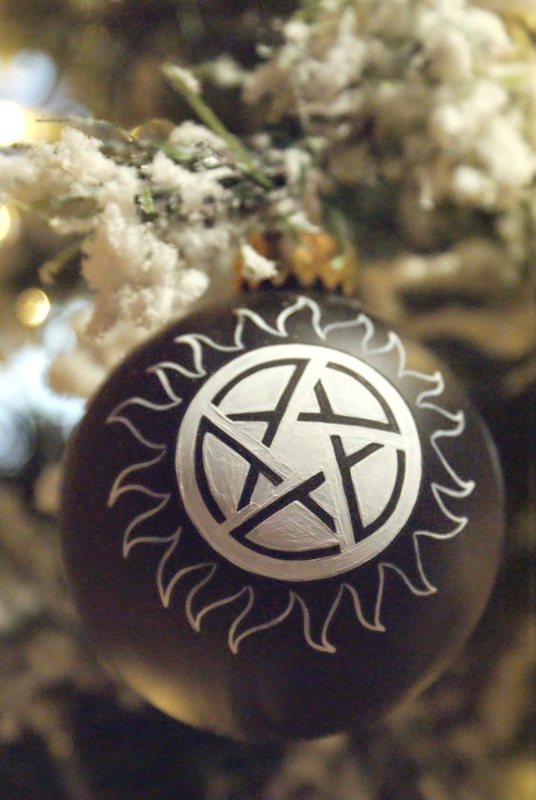 ), followed by our engagement ornament in 2012, wedding ornament in 2013 and this year I had a custom Supernatural Ornament made for Jesse by Etsy seller, Totally Obsessed. 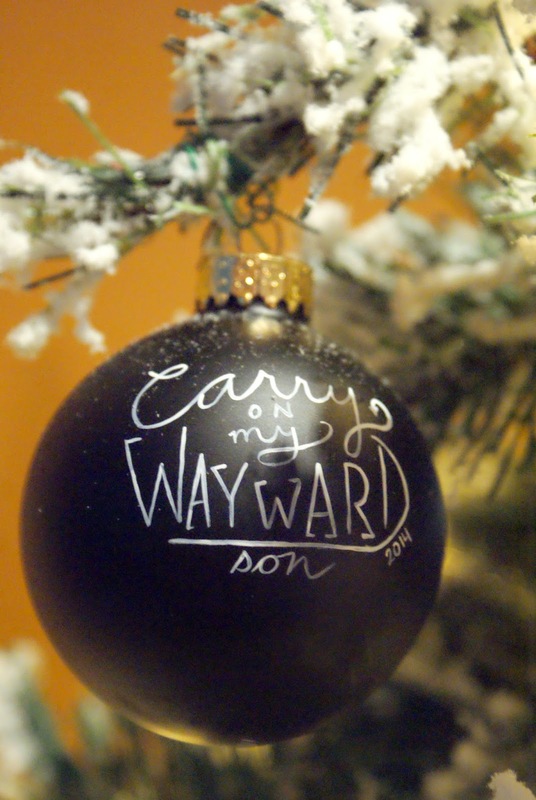 This year we found ourselves totally obsessed with Supernatural and watched all 10 seasons back to back so I knew that would be the perfect ornament for 2014. One side has "Carry on my wayward son" (the Supernatural Finale song) and the other has a version of Dean and Sam's anti-possession tattoo. 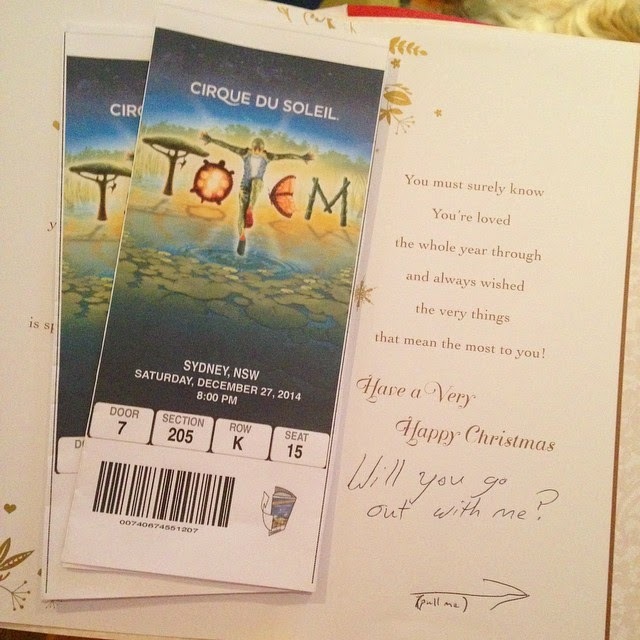 Then Jesse surprised me with perhaps the most awesome gift, tickets to Cirque Du Soleil's Totem tomorrow night!!! I have been waiting to go see a Cirque show for as long as I can remember so I was super super super excited (and I cannot wait until tomorrow night!). He always bought me a gorgeous fob watch necklace, Lindt Balls (because he recently discovered some flavours were gluten free! ), some clothes and a bunch of other little gifts. And Chanel didn't miss out on the fun either. 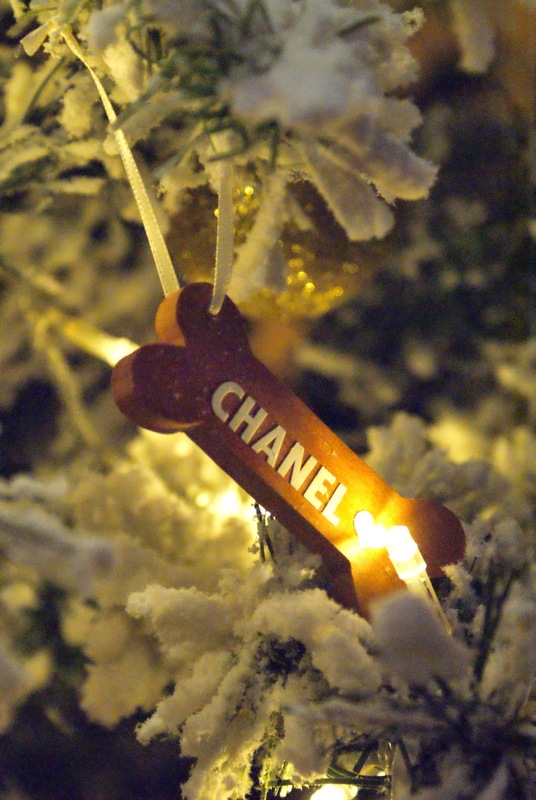 Both her and Trixie got way too many toys (Nelly's favourite being a soft reindeer toy) and Chanel got her own custom ornament for the Christmas tree! (Which I bought way before we knew we were getting Trixie, so I'll have to get her one for next year). 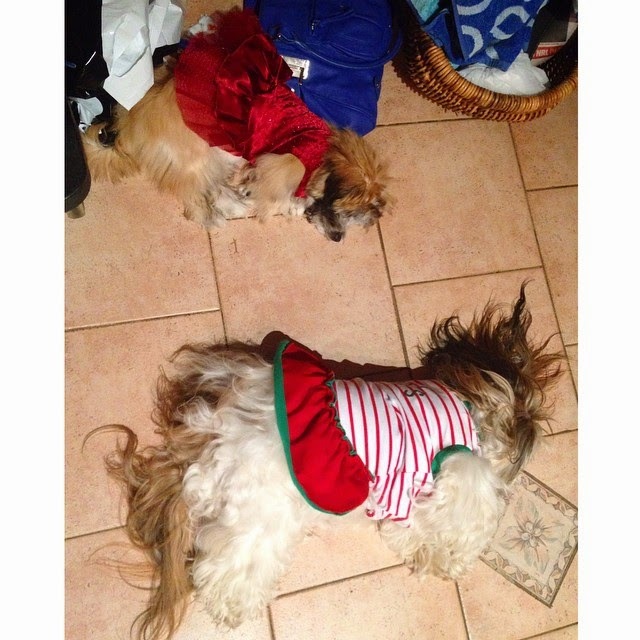 And because we're those crazy pet owners, both dogs had their Christmas outfits on. 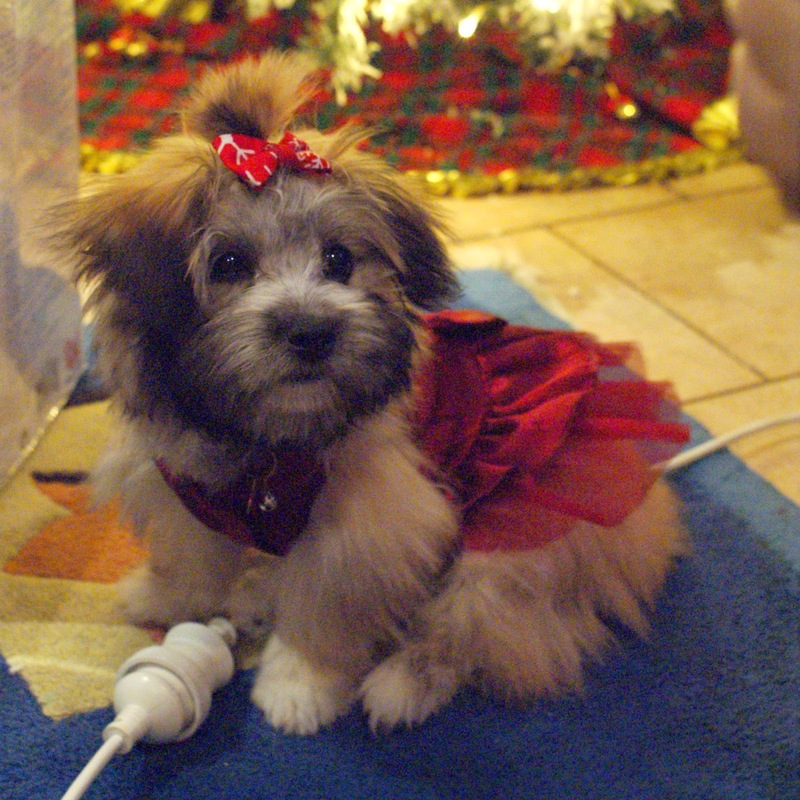 Chanel wore her Santa's Little Elf dress all day (and the Santa hat for a grand total of 5 minutes) because she actually really loves wearing her little t-shirts and dresses and prances around trying to show everyone how cute she is. After opening presents in the morning, we rushed off to church before heading back home to relax and wait for my cousins to arrive for Christmas dinner. Dinner was the usual with a couple of extra additions now that we've got a Southerner in the fam; Freshly sliced leg ham off the bone, roasted turkey, roast pork and crackling, dressing (basically what you put inside the turkey only baked in a pan so it's crispy and crunchy), potato salad, salad, baked mac and cheese, boiled eggs, corn and beetroot (because if my Mum put beetroot in the salad, Jesse the beetroot hater would freak :P). Dessert was my Healthy Pumpkin Pie, Mum's classic Christmas Pudding and my Easy Gluten Free Fruit Cake served with custard. The puppers were clearly tuckered out after such a busy day and we all ended up heading to bed pretty early with bellies full of food! So all in all, I'd say it was a very successful Christmas! Jesse and I are so incredibly blessed and so thankful for our family, friends, loved ones and you guys who take the time to read our blog! But tell me, how was your Christmas? I want to hear all about it! 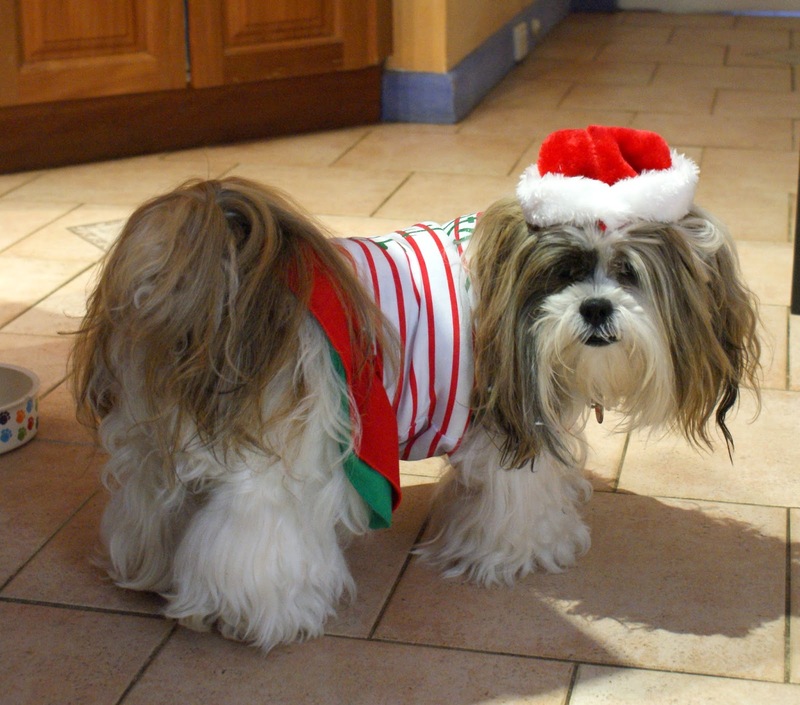 And what's your favourite Christmas food? It's not Christmas to me without Christmas Pudding (now actually this Fruit Cake) and Custard. 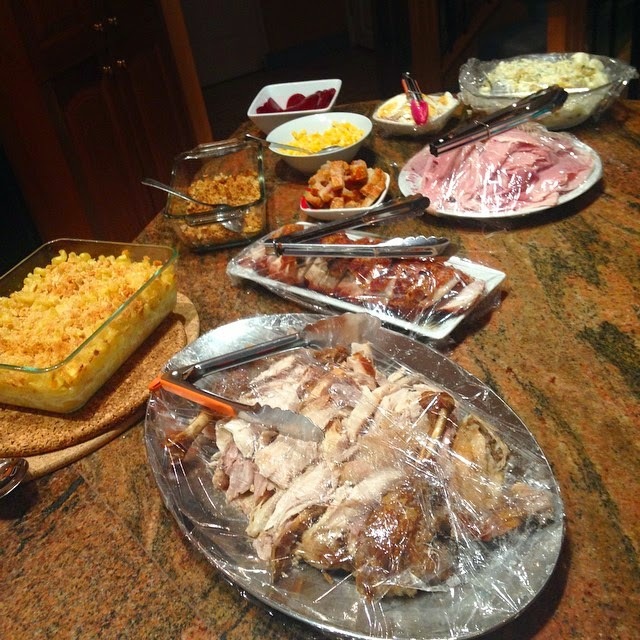 We alternate between Christmas lunch and dinner each year to fit in with my cousins, however, I think I prefer a more casual lunch meal than a big dinner. Merry Christmas! I would love to know what you think of the waffle moulds. I have been going back and forth for months trying to decide if I should buy a waffle maker. I've had a few makers in that past that I finally gave away because all the waffles turned out awful!